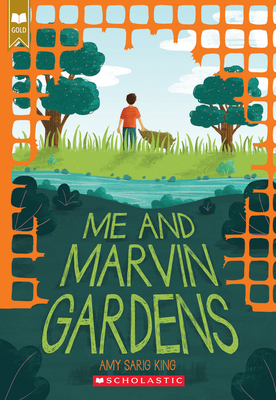 Me and Marvin Gardens (Scholastic Gold) (Paperback) | Let's Play Books! The first middle-grade novel from Amy Sarig (A. S.) King and a boy-meets-animal story like no other! One day, he sees a creature that looks kind of like a large dog. And as he watches it, he realizes it eats plastic. Only plastic. Water bottles, shopping bags... No one has seen a creature like this before. The animal--Marvin Gardens--becomes Obe's best friend and biggest secret. But to keep him safe, Obe must make a decision that might change everything.